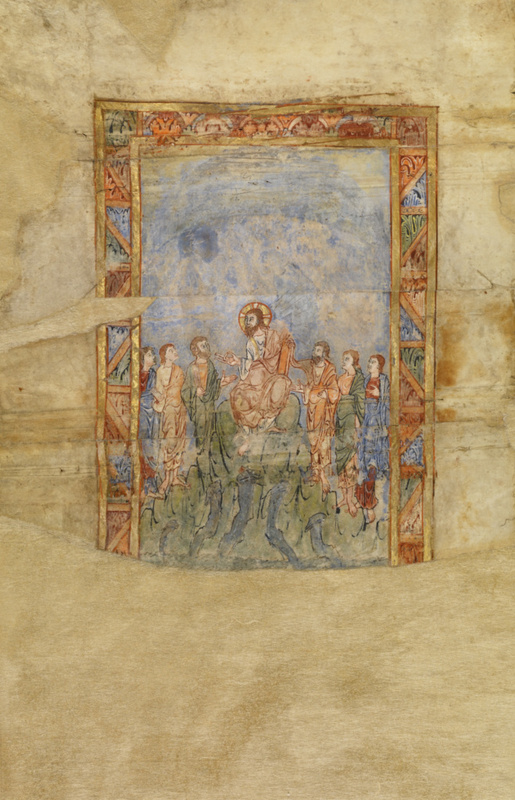 Inside an ornamental frame, Jesus sits on a mountaintop, symmetrically flanked by six of his disciples. 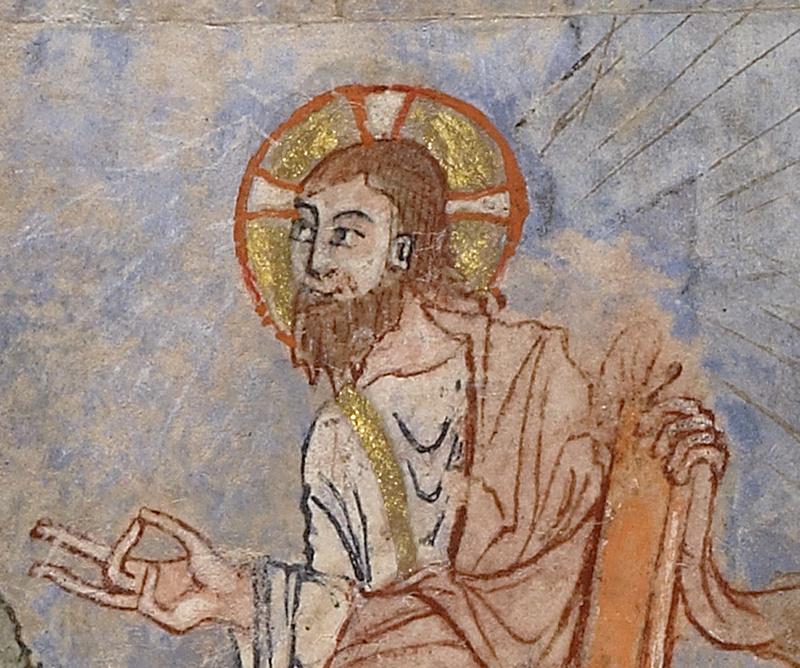 He holds a book in one hand while gesturing with the other, perhaps answering a question. Like his apostles, he wears a Roman-style pallium. The artist emphasized Jesus' role as teacher by placing him higher than his apostles, giving him more space, and positioning the apostles so that they all turn and look toward him. The fabric of the apostles' and Jesus' clothing falls in agitated, patterned circles on the figures' knees and bellies and in repetitive, embedded V-folds on their chests, between their legs, and at the hems of their tunics. These animated lines move in spirals and zigzags, energizing the balanced composition.